The New ’65’ plate looms large with September approaching very quickly. Mazda are stepping up to mark and have introduced another cracking offer to fall in line with the rest of the range! The All-New Mazda 2 is now Available with 0% Finance (terms and conditions apply) on all models across the ‘2’ line-up. This superb offer applies to Personal Contract Purchase with no deposit minimums, in a variety of terms lengths to suit your lifestyle. 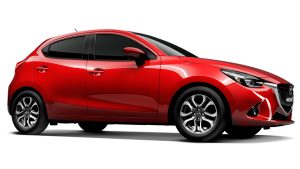 Not only is the 0% finance available on the PCP, Mazda have also spread it across to Hire Purchase too! On this occasion there is a deposit minimum, and still available on a variety of terms to suit you! Orders are being taken now for the New 65 plate Mazda 2 Now at Invicta Motors Maidstone. Call us on 01622695577 to arrange a visit and a test drive of the new Skyactive equipped Mazda, and take advantage of this brilliant offer, before its too late.